White eyelet tops are probably in the top 5 Spring and Summer pieces I wear on the regular. I honestly can’t have enough of them and I’m completely fine wearing them as often as possible (I’m totally ok with a denim/eyelet top uniform). From long sleeved to sleeveless, cropped and long, I love all variations and I find them the perfect easy breezy alternative to sport during the warm months. 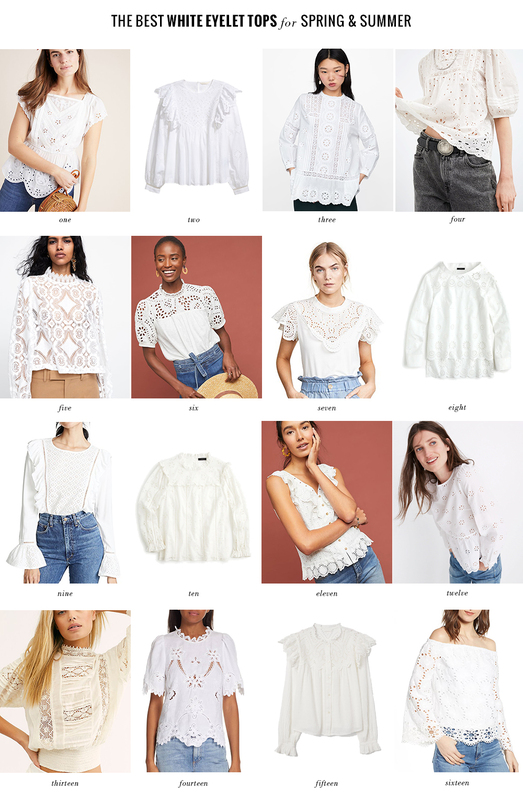 I think that, just as the classic white tee, eyelet tops go with absolutely everything (shorts, pants, denim…) and you can always count on them.